As I’ve mentioned before, we get a lot of interesting things in the mail at our office. We just received this specimen bag from our colleagues at Atlantic Veterinary College. 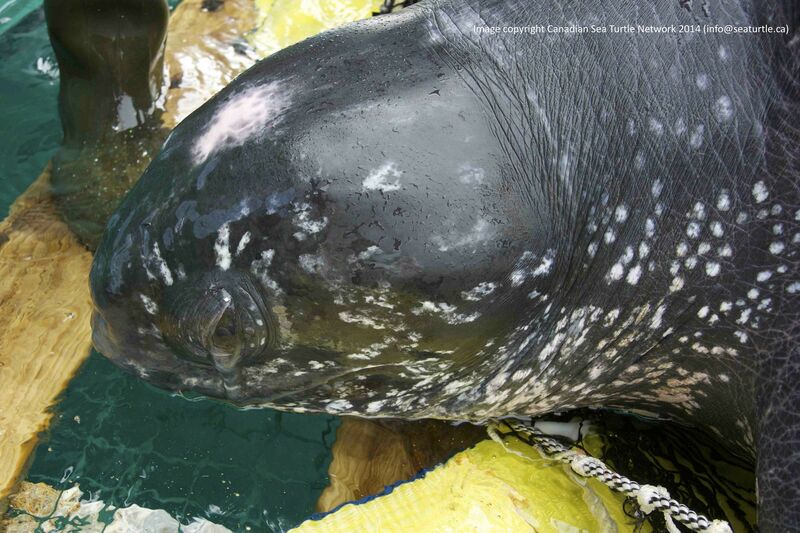 It is from the necropsy (autopsy) of one of the entangled leatherbacks from earlier this month. 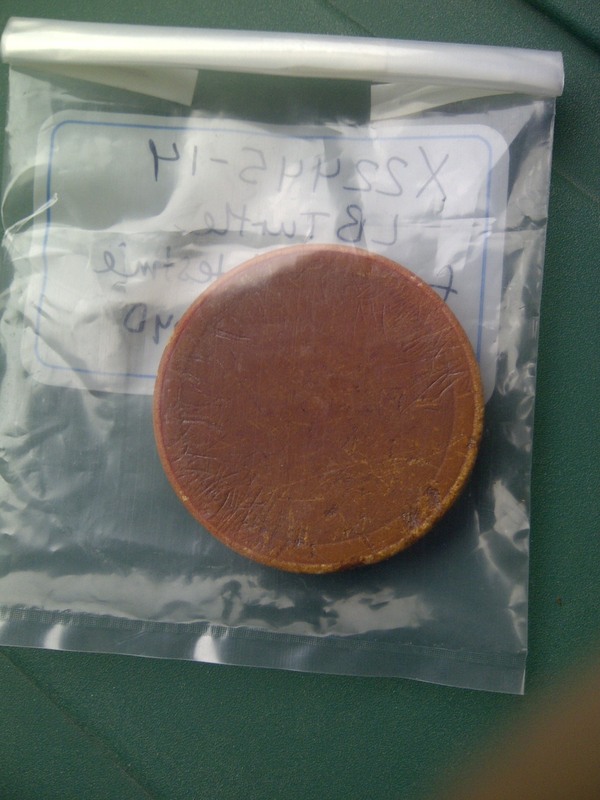 The specimen is a brown plastic lid that is about 6 cm (2.5 inches) in diameter. This lid was in the turtle’s stomach. The turtle had also eaten a small plastic bag, which we found nestled inside this cap during the necropsy. A sea turtle can’t digest a plastic lid or a plastic bag. 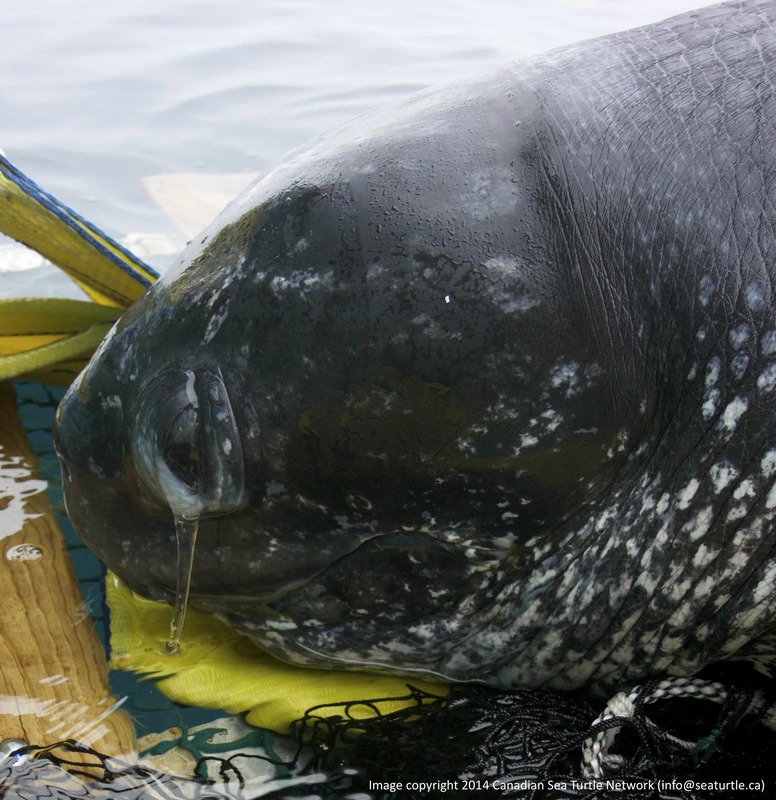 Plastics sit–until the turtle’s death–in its digestive tract. Neither the plastic bag nor the lid was the cause of death for this particular leatherback, but it was sobering to find them. 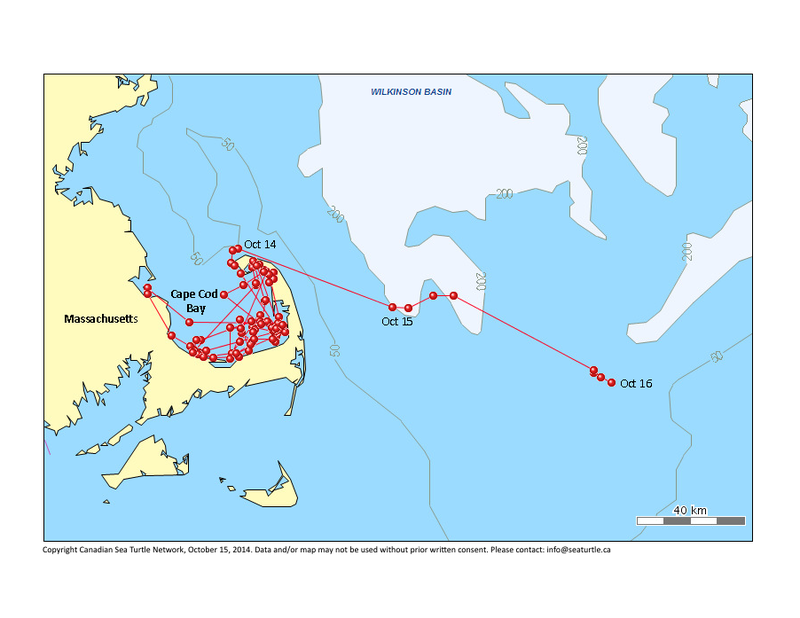 In great news, Asha has left Cape Cod Bay! This is her track as of this morning. Many thanks to our colleagues in the Cape Cod area who were helping keep watch for her. Can’t wait to see where she goes now! It looks like Christie and Beverly are going to head out of Canadian waters soon. Christie has been keeping us guessing a little bit. 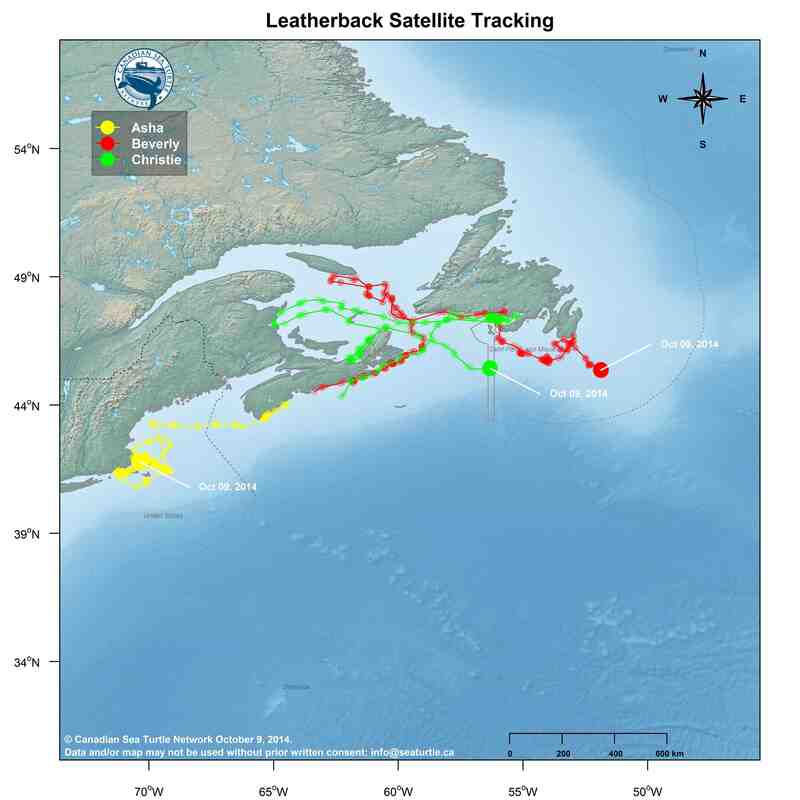 We had expected her to leave the Gulf of St. Lawrence about ten days ago. But she’s made her way around the northern tip of Cape Breton Island now and is off. Beverly, who has been spending her days off Newfoundland looks as though she, too, has begun to head offshore and I think will swing south now. Asha is still a cause for worry. 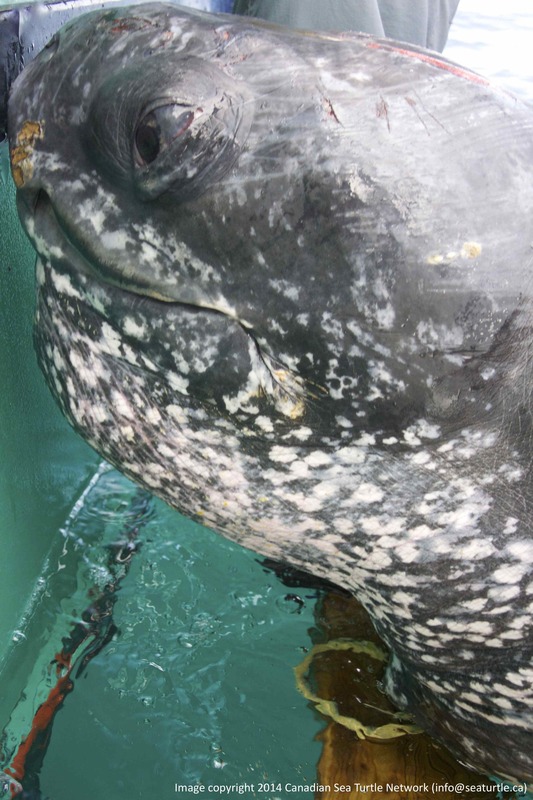 We still nervously check up on her positions several times a day hoping that she is not entangled in Cape Cod Bay, where she seems insistent on staying for now.